Rate this Article Using eye movement as a way to control devices has been successfully implemented not only for military, scientific or technology fields but for commercial and entertainment applications as well. Tobii is a company that specializes in the use of eye-tracking and is currently applying it to Virtual Reality. For almost all of the things that we do, we have to use our hands. There are times however that we have limited access to our limbs specially when we are already using them for something else. Lets take the case of an Army helicopter fighter pilot as a good example. When you fly a chopper, you use all your limbs, legs and feet, arms and hands. You focus on your heading, airspeed and altitude with minimal room for error. Most military choppers have weapon systems that have a fixed direction, they face one way. You have to move or tilt your entire chopper to face the direction of your target and hit the fire button on the stick. Then, the rotational chin mounted canon came out. A machine gun placed on the front of a military chopper that could point at a target as long as the pilot could see it. In short, if the enemy was way off to your right, all you had to do was to point your machine gun. Problem is you've got both hands occupied, the solution Eye Tracking. 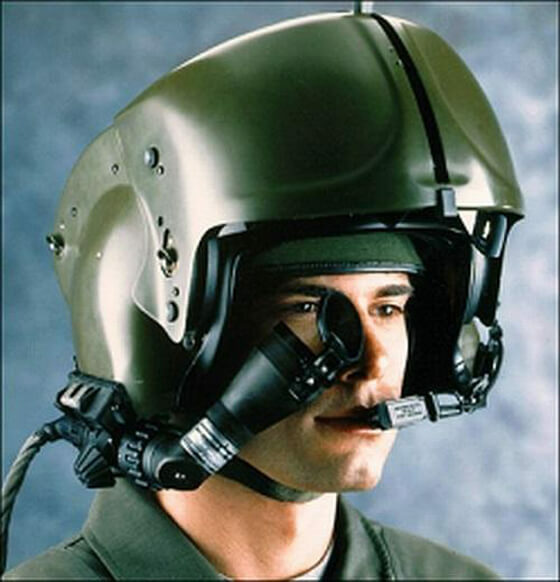 For those who remember the movie Fire Birds which starred Nicholas Cage as an Apache AH64 US Army pilot, an eye tracking targeting system was built into his helmet which enabled the helicopter's M230 Chain Gun to point in whichever direction he was looking at. This gave him the advantage to effectively fire in whatever orientation his chopper had and still hit the target point blank. Now, around 28 years later since the film was released, Tobii, a Swedish high-tech company has been developing and selling products for eye tracking and control. This time around, the application is being implemented into virtual reality. 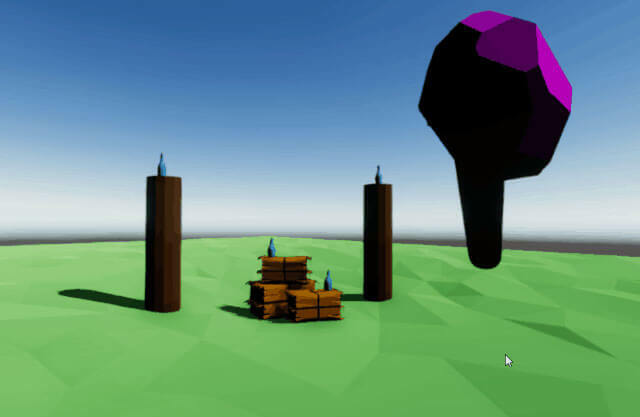 Targeting using the users eye movement will enable VR content developers to develop applications that use and react to where you are looking at. The technology is implemented directly to the lenses of the VR headset and Tobii is currently using the HTC Vive to promote the technology. Usually, the user will have to use the Vive controls to point in the direction of an intended target. Eye tracking helps the application focus on what you look at leaving the hand controls to activate, select, choose or fire at. This speeds up the interaction between the user and the VR program running. Also, various avatar movements can be simulated as well by tracking the movement of the eye. The company is currently engaged in research with various partner concerns in applying the technology to various fields of endeavor like helping disabled people communicate and control devices, helping drivers operate their vehicles, market research and commercial applications and of course computer gaming as well as other helpful uses. During the device presentations, Tobii would demonstrate successfully how their eye tracking system works. The orientation of the users eyes will first have to be tracked for accuracy and an application does just that then adjust the eye-tracking software as well. The user has to stare at two red dots on the virtual screen while their eye movements are being monitored. When the dots turn blue, the system is ready for use. The demo app can perform functions that utilize eye movements to do specific things. These include simulated facial expressions of avatars like winking an eye. Another would be along the lines of what the military has been doing, using eye movements to focus on targets or position the target sight. In case of VR, the application insures the accuracy of the aim similar to the auto-aim feature in games like CounterStrike. For commercial or non-game applications, eye tracking makes navigating menus and options much quicker and easier. No need to use a hand controller to point, just look at it and the selection is highlighted. The demo also simulated a purchase selection system where the user simply looks at the ball item to make a choice. Items can also be pulled or picked-up by simply looking at it. However, usage would really depend on the application and how it operates with the use of eye movement tracking technology. Tobii as a company has already won numerous technology awards for their eye tracking applications. Implementing Tobii's eye tracking into the different VR HMD's (aside from the Vive) and for both tethered and un-tethered headsets will no doubt enhance the overall VR experience. All the company has to do and currently focus on would be to get developers to create the VR eye-tracking integrated content and to bring down the device cost to make it accessible to the VR using public.